So one of the must do's for Jim was to go to a home game with Hammarby while he was here. The only game that was being played during his stay was against Örebro SK so thats what is had to be. Örebro might not be the most exciting team in the league but they have played better of late and with the not so good showing from Bajen at Häcken in the previous round it was a uncertain outcome for this game. I met up with Jim, Thomas and Peter at Central Bar on Folkungagatan on Södermalmand from there we walked over to Tele2 Arena via Götgatan and Johanneshovsbron. I had never been to Tee2 before (thats how bad of fan I am) and I like the stands and the how they are setup. It felt like there were prety good view of the field from most seats . The stairs and entry ways are ind of boring but on the other hand you don't spend much time there anyway. 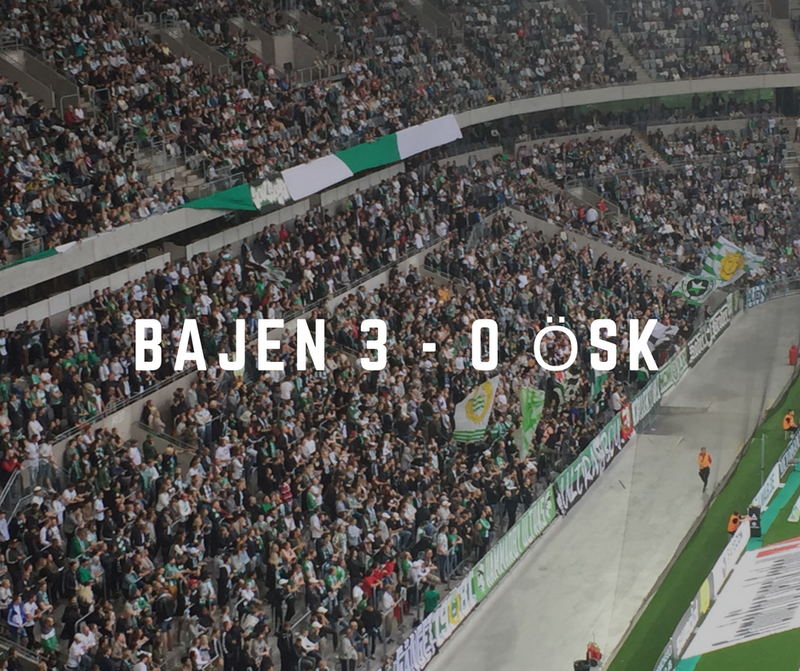 The game was ok and eventually Bajen started dominating and scored a late goal in the first and an early in the second half which pretty much sealed the deal on this day.Here we are celebrating the 2-0 goal. Eventually long tine fan favorite Kennedy Baki...(who can spell that with out googling it) came on as a substitute in the second half. With a late insurance goal and a goal for Örebro in the final minutes the score ended up 3-1 in our favor this day. We were happy and the players looked happy and came over and thanked the fans. But happiest in the stands on this day was this guy.